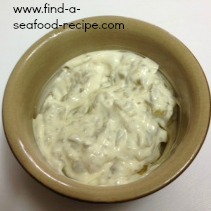 This homemade tartar sauce recipe is so easy to make. You will always be able to have the ingredients in your store cupboard. 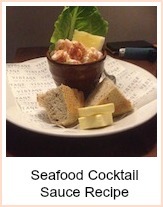 It takes a couple of minutes to make and is ready to eat straight away. There's no need to let the flavors infuse. 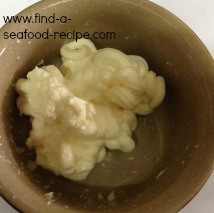 You might like to chill it in the fridge for a while before serving. I normally store my mayo in the fridge anyway, so that makes it cold. It is far superior to the stuff you can buy in shops which is just a whizzed up mix of unrecognisable ingredients - try this for a change and see if you prefer it to store bought. You will need just these three simple ingredients. They have an extremely good shelf life. 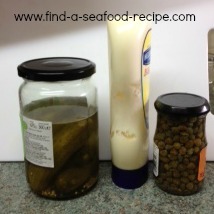 If you are making a quantity for 4 people for say fried fish or scampi, then use about 2 tablespoons of mayonnaise. You can use shop bought or homemade. 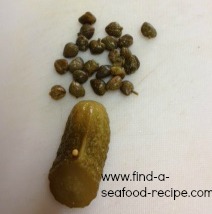 I have used one large gherkin and about a tablespoon of capers. 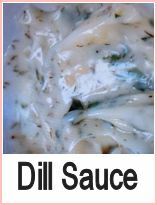 Drain them well, although the vinegar they are pickled in, adds a bit of sharpness to the finished sauce. As you can see from the photo, although they are finely chopped, they are still quite chunky. 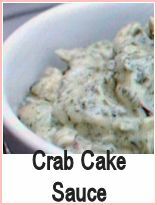 A commercial recipe minces them so they are unrecognisable. Mix the ingredients together to combine completely. 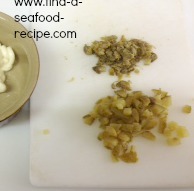 It's as easy as that to make tartar. If you taste it and want to add some lemon juice or pepper, then do so, but I have never bothered. 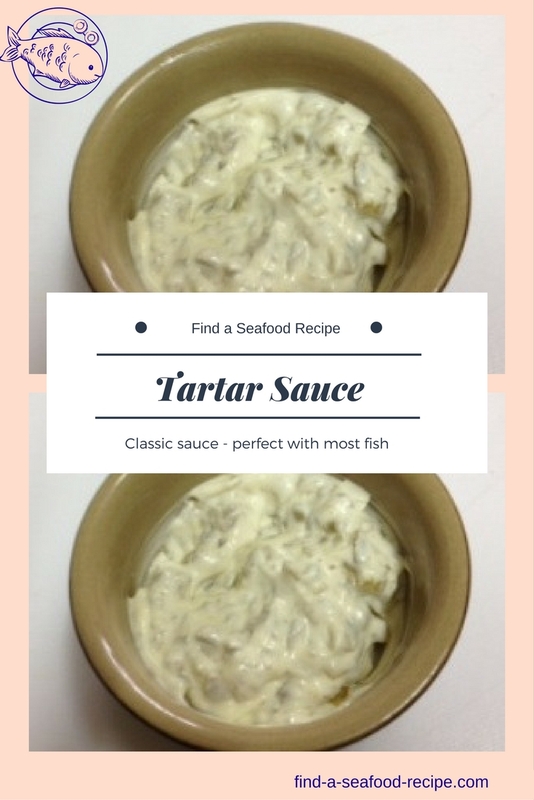 How to make tartar sauce - step by step instructions with photos. 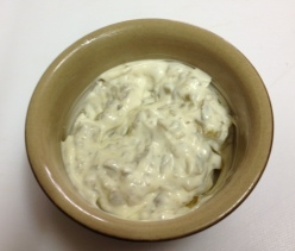 So quick and easy and so much nicer than a bought jar, this tartar sauce recipe will be one that you can use over and over.